© 2000 Media Asia Films Ltd. − All right reserved. When terrorists abduct a deadly government attack robot, the call is put out to the Gen-Y Cops, an elite task force with lethal fighting skills. 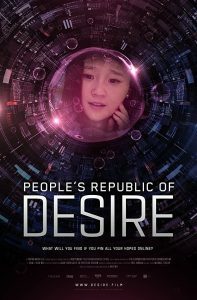 The film opens in Washington D.C., where a new government robot called RS-1 is scheduled to make its debut at a convention in Hong Kong. Doctor Cameron gives the investors a demonstration of RS-1 while agents Ross Tucker, Ian Curtis, and Jane Quigley watch. However, soon a malfunction with the robot occurs during one of its tests, resulting in the robot beginning to shoot at everyone. However, Ross and Ian shoot at the control panel which stops the robot. Cameron is now reconsidering bringing RS-1 to Hong Kong, but the investors tell Cameron to fix the issue and send it to save their own butts. The malfunction comes from a hack by Kurt, the designer of RS-1, who was unceremoniously fired for being young and a bit reckless. Kurt has plans to steal the robot and intends to get the help of rogue FBI agent Quincy. 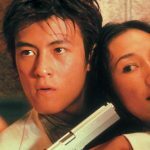 Meanwhile, in Hong Kong, two of the original Gen-X Cops, Match and Alien, must go undercover as weapons dealers to bust a missing undercover cop named Edison. When they successfully make a deal, the duo beat up the dealer and find a room with beaten up victims. Alien mistakes one victim for Edison but soon find Edison still in cahoots with the leader of the gang. Edison shoots Alien and Match but shoots their guns as a cover up. 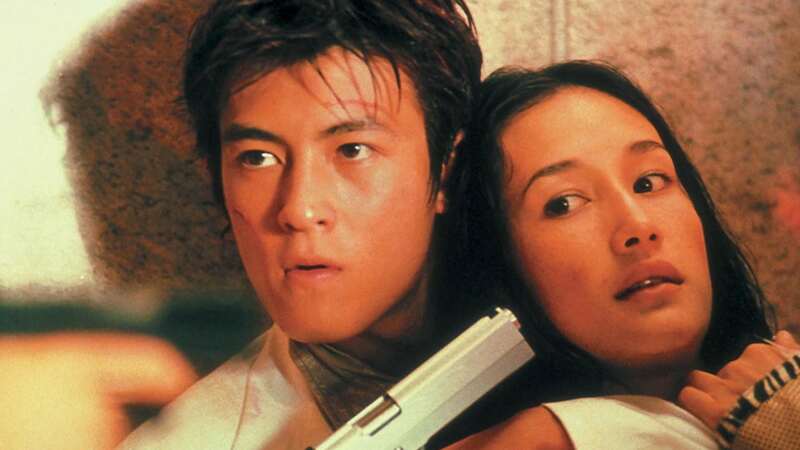 When Alien and match learn that the gang running the operation has stolen the Hong Kong police entry for the robot convention, Alien mistakes a phone for a bomb he has just purchased. Alien throws the bomb phone to the Ferrari he and Match drove in. 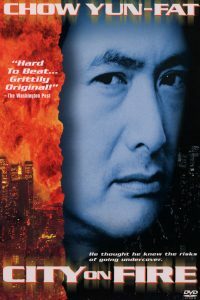 The explosion blows their cover and Match, Alien, and Edison are forced to fight not only cage fighters, but using a flash bomb, defeat the gang and have them all arrested. The next day at headquarters, the trio of cops join others in seeing Dr. Tang demonstrating the recovered Hong Kong robot but things don’t go as planned. On the day of the convention, the FBI arrives and Edison looks at Jane, who looks back only to get distracted. It is soon apparent that the Hong Kong Police and the FBI are not going to be able to get along. When Jane attempts to show a demonstration of the security system, the system does not work. Ian gets miffed and when Hong Kong lieutenant Chung asks if they can get the FBI anything, all the agents request coffee. Match is not happy, but Alien happily takes the task as he intends to put his dandruff in all of the coffee for the FBI agents. When Match tries out a cup, Alien looks at him with a surprising look. Edison receives a call from an old friend and meets the friend that night at Jumbo Restaurant. The old friend is Kurt, who is still somewhat shocked that Edison is a cop. When Edison tells Kurt he will help him, the two hug it out only for Kurt to drug Edison with a hypnosis drug. Under the hypnosis, Edison breaks into headquarters and steals the robot. Kurt once again hacks into RS-1 and has the robot kill Doctor Cameron. Edison breaks out of the spell and is surprised to learn that he had killed Quincy, who was actually trying to kill him admitting Kurt’s treachery beforehand. When Ian sees the dead Quincy, he fights Edison but Edison escapes and resorts to taking Jane as a hostage. After a standoff involving Match and Alien as well as the FBI, the two end up in Kurt’s van where Edison finally learns what had happened. He and Jane make their escape, destroying the friendship between Edison and Kurt. Match and Alien soon become the scapegoats for Edison when they learn that if Edison and the robot cannot be recovered, they will have to take the fall. The next day, Edison remembers a man in a lobster suit during his hypnosis. He and Jane, who is starting to believe that Edison may be innocent after all, find the lobster man. However, they were both tracked by Match and Alien as well as the FBI. Jane returns with the FBI while Edison, Match, and Alien are being shot at by the FBI. Edison finds an unexpected ally in the lobster man, who helps him escape. As for Match and Alien, the two end up in the hospital along with the injured FBI agents. 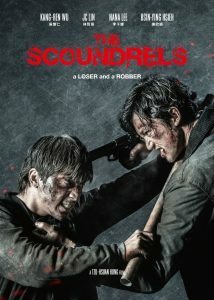 A confrontation between Match and Ian almost gets physical until Ross and Chung arrive to break it up. Ian assures Match and Alien that they will take the fall if Edison and the robot are not found. Jane attempts to convince Ian that Edison may have been drugged and may be innocent, but Ian won’t hear of it. Ross tells everyone to cool off and they leave the hospital. Edison finds Kurt in an abandoned warehouse, where the two start to fight. Match and Alien have been tracking Edison and find the robot. They soon find themselves in the mix when they face Kurt’s men. Kurt, however, escapes again but Match and Alien trap Edison and tell him they have to take them in to save themselves. When Match and Alien bring Edison back to headquarters, they are hailed as heroes for the arrest of Edison. However, they soon become convinced that Edison may be innocent as well. With help from Oli, Match’s techie girlfriend, and Peggy, a techie who has a serious crush on Alien, they are able to tap into Edison’s memory and have learned where the robot may be found. When they decide to find RS-1, Jane confronts them only to agree to help them out. They learn Kurt plans to sell RS-1 to an Arab terrorist but as they bust the dealers and Kurt, Ross arrives. When Jane asks Ross where backup is, Ross is revealed to be involved in the entire scheme with the dead agent Quincy. When the deal is finalized, Ian arrives in time and had learned of Ross betraying everyone only to put a tracking device himself on Ross. This leads to a confrontation while Kurt escapes with the robot. The terrorist is killed and a fight ensues between Ross and Ian. As Ross begins to get the upper hand, Match comes to the rescue and he and Ian team up to fight Ross. When Ross gets Ian to the edge of a shipping container, he points his gun towards Ian. Match comes up from behind and drop kicks Ross off the container to his death. Match and Ian realize they have to get the robot. Kurt has unleashed the robot all over the city, destroying anything in its path. Edison and Alien catch up to Kurt and RS-1 at the convention center. An attempt from the robot from Mainland China results in that robot being destroyed. However, Dr. Tang installs a virus to be transferred from his robot to RS-1. When the virus is uploaded, RS-1 destroys Tang’s robot. Kurt is convinced that RS-1 is the ultimate robot and when he stands in victory, the now virus-filled RS-1 guns down Kurt to his death. An attempt to take out RS-1 by Match, Alien, and Edison fails. However, with the virus came a self-destruct button, and with the clock ticking, Ian arrives by car and the trio of Hong Kong police wrap a chain around RS-1. The four cops drive to the harbor and send RS-1 into the water, where it explodes.